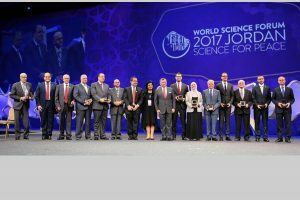 The World Science Forum 2017 convened at the Dead Sea over a four day period in November under the slogan Science for Peace, a philosophy espoused by its chief organizer HRH Princess Sumaya bint El Hassan. The event convened 3,000 people from around the world to discuss various aspects of utilizing science to advance peace and address the human imperative in all parts of the globe. Among the invited participants was Managing Partner, Robert Ayan who formerly served as Chief Strategist on the development of a science park in Jordan.